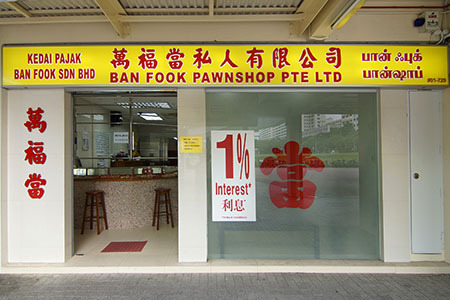 Ban Fook Pawnshop is a financial body that provides services in the form of pawnbroking. We are located near Admiralty MRT station. Our experienced staff are trained to provide accurate valuation and maximum loan for your precious items. Over the years, customers have come to recognize trust, transparency and reliability of our services.